America is facing the challenges of childhood obesity rising at alarming rates. Most children would rather sit playing video games over actively playing with educational toys. 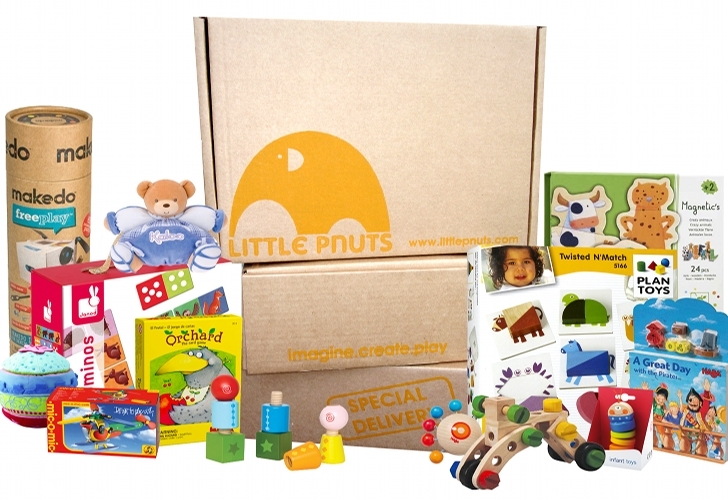 That’s why Melissa Pia Bossola Beese, mom of 2, decided to provide parents the tools to disconnect from technology and engage in play with this amazing quarterly toy subscription service called Little Pnuts. The service ships 3-5 organic, eco-friendly, natural or sustainably made toys every March, June, September and December for children ages newborn to 5 years old. After seeing the excitement her son had when receiving holiday cards in the mail last year, Melissa got the idea that all kids would enjoy receiving a package that they could open just for themselves several times a year. It’s kind of a gift that keeps on giving. 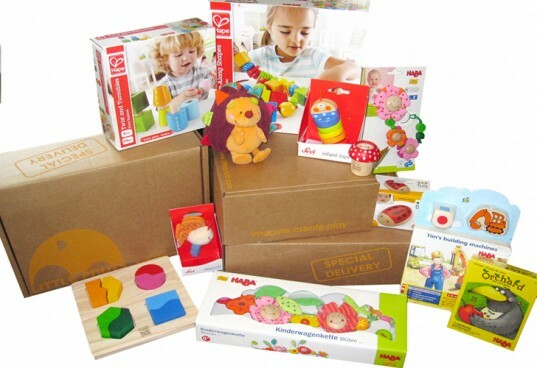 Little Pnuts works with amazing eco-companies like PlanToys, miYim, Green Toys, Little Sapling Toys, Wonderworld, glob, HABA and Hape. When you register for Little Pnuts, they get all of your child’s info so they can send toys that will help them reach their current developmental milestones. They have 3 delivery programs, Infant 0-12 months, Toddler 1-3 and Preschool 3-5 that you can choose from. Little Pnuts has 2 payment options: the annual subscription which is a one time $240 payment or $25 per month. Little Pnuts would be a great baby shower, birthday or holiday gift this year. America is facing the challenges of childhood obesity rising at alarming rates. Most children would rather sit playing video games over actively playing with educational toys. That's why Melissa Pia Bossola Beese, mom of 2, decided to provide parents the tools to disconnect from technology and engage in play with this amazing quarterly toy subscription service called Little Pnuts. The service ships 3-5 organic, eco-friendly, natural or sustainably made toys every March, June, September and December for children ages newborn to 5 years old.